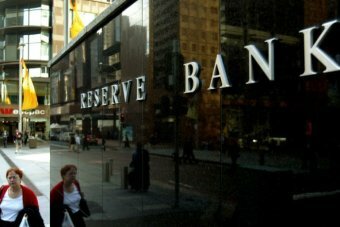 RBA DAY: How Much Will the RBA’s Narrative Change? Over the last 24 hours we got a string of domestic data that flag further downside risks to the economy. The only question that remains now is: How much will the RBA’s narrative change following today’s RBA Board meeting? It was the Royal Commission Report that was released yesterday which stole most of the headlines the past 24 hours. The report made 76 recommendations for the financial services sector with the Government planning to act on all of them. There weren’t as many bombshells as were feared and a number of the recommendations were largely pre-empted by banks. What the report does mean is that many of the measures that have been put in place by the banks since the finding from the Commission started to surface won’t be able to be unwound. It means that tighter lending standards are here to stay and if anything the risk is that they get tighter from here. On the data front the focus yesterday was on the continued collapse in building approvals. This is now the second consecutive month these figures have fallen heavily. Building approvals were down 8.4% in December and 22.5% for the year, severely undershooting expectations. They are now down nearly 40% from their peak. However, the key data points from yesterday were another leading indicator of employment turning down and the big miss from the monthly inflation numbers. The ANZ job ads report continue to slide and has been trending lower for the past 8 months. The pull back in jobs ads is consistent with the monthly business survey’s employment index which has been falling since February last year. Both forward looking indicators of employment point to a slowdown in employment growth over the months ahead. Adding to the concern was the 0.1% decrease in the monthly TD-Melbourne Institution inflation index in January. The fall saw the annual rate fall from 1.9% last month to 1.5%, well below the bottom end of the RBA’s target range. Considering all this and the fact that the RBA’s two primary objectives are full employment and price stability, it is going to be very interesting to see how the RBA updates their outlook when they meet to discuss interest rates later today.